Whether you consider it a goodwill gesture toward fans, a cynical marketing gimmick or an attempt to protect America against the impending zombie apocalypse, one thing is clear: A Left 4 Dead 2 demo is less than two weeks away. Instead of simply releasing the demo to the masses via Xbox Live or Fileplanet, Valve is offering the sneak peak as something of a pre-order bonus. Gamers who drop the early cash to ensure they get a copy of the title at launch either via Steam or "participating retailers" will gain access to the demo on October 27. This we already knew. We also already knew that Valve was planning to release the demo to the public sometime after the initial offering, though details on that were a mystery until this morning. On November 3, all PC gamers as well as Xbox Live Gold subscribers will be given access to the demo. Then, come November 10, even those lowly Xbox Live users who prefer not to drop the $50 for a yearly Xbox Live Gold subscription will be able to download the demo. 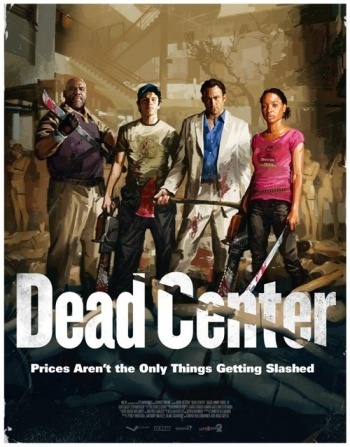 The Left 4 Dead 2 demo will feature gameplay taken from "The Parish" campaign, set in the New Orleans French Quarter. Playable by 1 to 4 players over local or Internet connections on both the Xbox 360 and PC (with two-player split screen available on the Xbox 360), the demo features all the new boss infected zombies and all the new melee weapons included in the full product. That was a pretty nebulous answer wasn't it? We have no idea how much of the Parish campaign will be included, whether it will be a timed demo or simply a single area or if it will in any way differ from the final product. Sadly, we probably won't be able to answer any of those questions until, at least, October 27.